LEGO has announced two new large scale Star Wars buildable figures that will be launching soon. 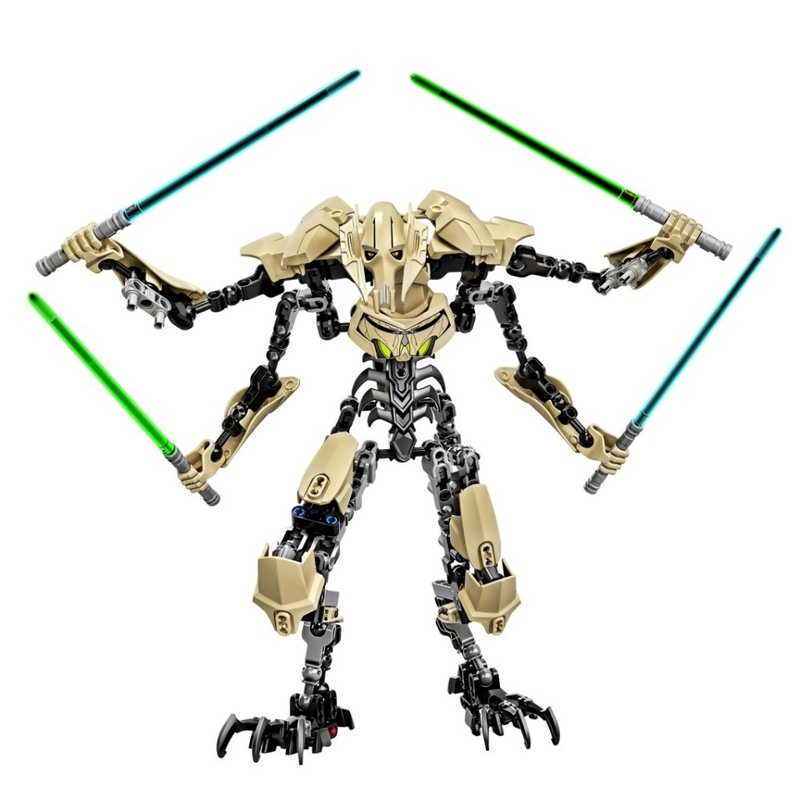 The new figures are General Grievous and Obi-Wan Kenobi. These new figures appear to be similar to the LEGO Bionicle line. 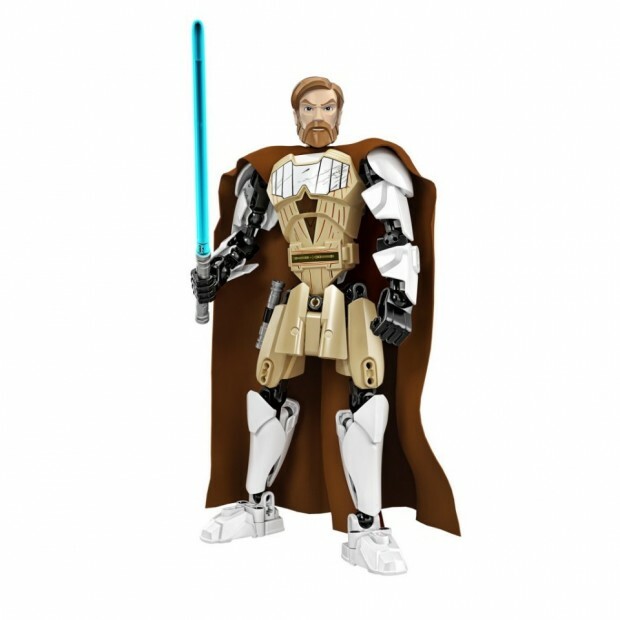 The six sets range from 82 to 186 components, and include Darth Vader, Luke Skywalker Jedi Knight, General Grievous, Obi-Wan Kenobi, Jango Fett and Commander Cody. Vader and Skywalker were revealed at the recent New York Toy Fair, while the others are being shown off at Star Wars Celebration. These figures will retail from $19.99 to $34.99(USD) and will be available this September.